Eight major-leaguers died while serving in World War I.1 The third of these casualties, Eddie Grant, had the longest playing career and is also well remembered because he received a plaque in center field at the Polo Grounds. The shortest career on this list belonged to Alexander Thomson Burr, a pitcher who played just one inning in center field for the New York Yankees on April 21, 1914. The Williams College alumnus played just one professional season and then went into business. 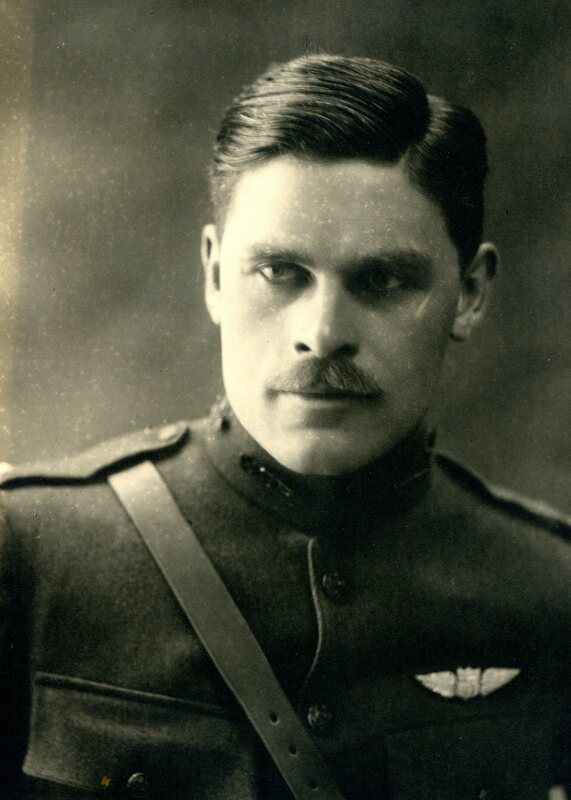 After entering the U.S. Army Air Service, he was killed in an airplane accident on October 12, 1918. Burr was born on November 1, 1893 in Chicago, Illinois. His father, Louis E. Burr, worked for a firm called Kimball Carriage, which moved from Portland, Maine to Chicago in 1877 and turned to producing automobiles. In July 1892, Louis married Emily Thomson. The couple named their firstborn son for Emily's father, Alexander MacQueen Thomson, who emigrated from Scotland to the U.S. in 1854 and became a coffee and spice merchant.2 The Burrs had one other child, a boy named Kimball. In 1905, Louis left Kimball Carriage (where he had been secretary, treasurer, and manager) and became the president of Woods Motor Vehicle Company of Chicago.3 Electric and hybrid cars have become a hot item in recent years, but Woods Motor produced battery-driven vehicles between 1899 and 1916 and introduced a hybrid in 1915. The Burrs must have been well to do, for they could afford two servants and to send their sons east to prep school and college. Baseball references have shown Burr's nickname as Alex, but in the course of this research, nearly all contemporary references showed that the young man was known as "Tom" or "Tommy." He first spent a year at Hotchkiss School, but in the fall of 1911, he transferred to another academy in Connecticut, Choate. 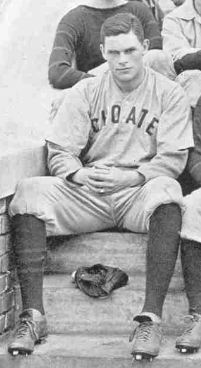 He made the football team in 1911, then played shortstop and pitched for the baseball team in the spring of 1912. As former headmaster George St. John recalled in his 1959 memoir, Forty Years at School, Burr also founded St. Andrew's Society at Choate in 1913.5 This was a non-denominational religious group; at the time, the school's chapel was called St. Andrew's (Burr probably enjoyed the coincidental link to his Scottish grandfather). Its members — who later included Adlai Stevenson and Joseph P. Kennedy, Jr. — "contemplated the meaning of such concepts as sincerity, loyalty, and moral behavior. "6 The society also operated a camp for underprivileged boys from New York, which was staffed by Choate students. It lasted until 1965. Only nine Williams Ephmen have ever played in the majors, and none since 1934. Yet four of those nine made their debut in a span of just three years, from 1911 to 1914. It is no coincidence that three — Burr, George "Iron" Davis, and Paul "Bill" Otis — played for the Highlanders/Yankees. Charles "Doc" Barrett (a.k.a. "Bonesetter") served double duty as trainer for both Williams and New York, joining the big-league club in 1910.12 Barrett only ever saw Burr in practice at college, though, as well as a fall series between freshmen and sophomores.13 The pitcher turned pro before he got into a college game. One of Burr's personal diaries, with entries for February 27 through June 6, 1914, remains in existence. On the site that offered the volume for sale, the description noted, "Because he was a literate writer, Burr conveys what it was like to be brought into the Yanks as a highly sought after prospect, moving around with the team, spending time with his teammates, getting scolded by the team's manager, getting paid for doing nothing, etc. Burr writes a daily log of what he did, saw and thought, including his growing increasingly tired of sitting on the bench, noting teams and scores of various Yankee games, rainouts, eating out with friends and teammates, batting practice, going to plays, who he is dating, killing time by playing cards, gambling, traveling by train and bus, playing at the Polo Grounds, working out, what time he woke up, etc. At the back he notes daily expenses such as car fare, haircuts, food, cigarettes, etc." On April 19, the Yankees played an in-season exhibition game against the Newark Indians. Burr lost a 4-2 decision. The very next day, Burr's namesake grandfather died. The day after that, at the Polo Grounds, Burr made his only major-league appearance. The Washington Senators took a 2-0 lead into the ninth inning, but then the Yankees rallied. With one out, Jimmy Walsh walked and pinch-hitter Bill Reynolds singled. Center fielder Bill Holden then brought Walsh in with a single, and Chance inserted two pinch-runners, including himself — it was the Hall of Famer's last action as a player in the majors. New York got the tying run in, and with all the substitutions he had made, Chance had to bring Burr off the bench to replace Holden in center. (Ed Walsh had noted that Burr could handle himself in the outfield and at bat.) The rookie did not field any chances, and then the Yankees won it in the bottom of the tenth before his turn in the batting order came up. Burr's diary entry for the day was brief and matter-of-fact. It started by mentioning "Received wire from Dad about grandpa" and did not go into any detail about his game action. It concluded "Movies and bed early." In late May, New London (Connecticut) in the Eastern Association acquired Burr, as he was sent out with an eye toward rejoining the Yankees later in the season. In his diary entry for May 27, Burr wrote, "Mr. Chance called me into his office and wants me to go to New London for the summer to get some actual experience and lots of work. Told him I would think it over and let him know to-morrow. . .Think I will go all right." Information is lacking on Burr's choice to quit pro ball after 1914. Accounts also differ as to whether he returned to Williams. A Chicago Historical Society publication reported that he was a student there at the time of his enlistment in 1917, but the Williams yearbook for 1915 lists him among "sometime members" of the Class of 1917. In addition, the College's obituary record for 1918-19 stated that he entered business in Chicago after his brief experience as a ballplayer. His draft registration also showed that he was working for the American Radiator Company, a forerunner of the well-known plumbing and fixtures company American Standard. His passport application called him a salesman. Burr entered the First Officers' Training Corps at Fort Sheridan, on the shore of Lake Michigan near Chicago, but he was discharged after a severe attack of double pneumonia. He tried for the second camp but was rejected because of his age. Nonetheless, he was determined to serve. After completing his acrobatic training at Issoudun, Burr was ordered back to Tours to serve as instructor in preliminary training. From there he became a member of the staff of instructors at Issoudun. He passed his examination for the rank of first lieutenant and was on his way to the front. Before that, however, he made a brief but fateful stop. From Issoudun, many new pilots went to Cazaux, in the southwestern part of the country, near Bordeaux. There, amid the pine-covered wastelands of the Landes de Bussac, was a gunnery school called École de Tir Aérien, which supplied additional training to the flyboys in their Nieuport biplanes. Targets were towed across Lac de Cazaux, a 21-square-mile local lake. George St. John wrote, "When I had to tell Tom's brother Kim, Kim said, ‘I won't believe it. That kind of thing doesn't happen to Tom! '"33A letter from one of his comrades echoed the feeling. "At the field, we just can't believe it. We know it was absolutely unavoidable because Tom was a perfectly wonderful flyer. His skill was the marvel of every man who saw him in the air." The Chicago Tribune article describing the accident was published before Burr's body was discovered. Various baseball reference sites focused on this article, and as a result, the idea persisted that he was never found. In fact, another report in the Tribune the following March described how the Red Cross responded to the pleas of Louis and Emily Burr, locating and decorating their son's gravesite. This article did not specify the location — but it was almost certainly a spot called Le Natus, between the town of Arcachon and Lac de Cazaux. Two small cemeteries were established there during the war. One held 940 men from Senegal, as well as 12 Russians. The other, American Expeditionary Forces Cemetery No. 29, was for Americans stationed at Cazaux who had died of the Spanish flu or in training exercises. The forested location tallies with the photo accompanying the March 1919 article. Continued thanks to Eric Costello and SABR member Bill Nowlin for additional research. Thanks also to Marion Bastien of Arcachon, France. Marion's blog, Du Côté du Teich (http://ducoteduteich2.wordpress.com/), has carried many entries about the area's unique World War I history. "Flaming Plane Falls in Lake with Chicagoan." Chicago Daily Tribune, October 18, 1918. "Williams Pitcher Killed." New York Times, December 29, 1918. "A U.S. Flyer's Grave in France." Chicago Daily Tribune, March 30, 1919. Obituary Record of the Society of Alumni, Williams College, 1918-19. Williamstown, Massachusetts, April 1919: 477-78. Wood, Frederic T., editor. Williams College in the World War. Williamstown, Massachusetts: The President and Trustees of Williams College, 1926: 128. Morrison, Leonard Allison. History of the Kimball family in America, from 1634 to 1897. This item was available for sale in September 2016 on the website blankverso.com (it had also been listed on eBay). According to the dealer, Steven Hill, he obtained it in an estate sale, but the family knew nothing of how it had come into their possession. While it was listed, pictures of various pages were posted; these are now in the author's files (thanks to Steven Hill). The diary was subsequently purchased by a generous Choate Rosemary Hall alumnus, who has donated it to the New York Yankees Museum. 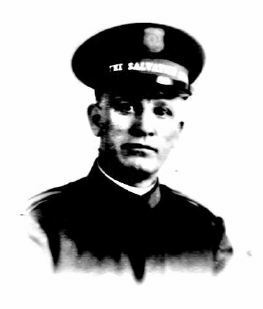 1 In addition to Eddie Grant and Burr, the others were Robert "Bun" Troy (killed in action in France); Ralph Sharman (drowned during training in Alabama); Larry Chappell and Harry Glenn (Spanish flu);	Newt Halliday (tuberculosis/pneumonia), and Harry Chapman (died from wounds in Missouri). 2 Annual Report of the Masonic Veteran Association of Illinois, 1914. 3 The Horseless Age, November 22, 1905: 689. 4 "Ed Walsh Praises Burr, Former Big Choate Pitcher." Meriden (Connecticut) Morning Record, November 7, 1913: 4. 5 St. John, George. Forty Years at School. New York, NY, Holt, 1959:77. 6 Baker, Jean H. The Stevensons: An American Family. New York, NY: W.W. Norton & Company, 1996:238. 7 "Ed Walsh Praises Burr, Former Big Choate Pitcher"
8 "The Week in Society." Town & Country, March 1, 1919: 48. 9 "More Men for New Yorks." Sporting Life, January 24, 1914: 3. 10 "American League News In Nut-Shell." Sporting Life, January 31, 1914: 14. See also "Burr of Williams Signed." Boston Globe, January 20, 1914. 11 "Bidding for a Wonder." Sporting Life, January 24, 1914: 6. 12 "Yankees to Have Own Bonesetter." Pittsburgh Press, July 13, 1910: 16. 13 "Williams Loses Pitcher," Boston Evening Transcript, January 21, 1914: 5. 14 Providence Evening News, January 21, 1914: 4. 15 "Crooked Arm Is Aid to Twirler." Mansfield (Ohio) Shield, April 7, 1914: 6. 16 Dix Cole, Harry. "New York News Nuggets." Sporting Life, March 14, 1914. 17 "Ten of Yankees' Pitching Corps Are Six Footers." New York Herald, March 15, 1914: 4. 18 "Chance Bars Poker Playing in Hotels." New York Times, March 31, 1914. 19 "Burr Is Added to Yanks Pitching Staff." Meriden Daily Journal, March 24, 1914: 3. 20 McBeth, W.J. "Yankees Home Primed to Show Fans Something New," The Sporting News, April 2, 1914: 1. 21 "Burr In Town." Meriden Morning Record, May 29, 1914: 3. 22 Meriden Morning Record, June 1, 1914: 3. 23 "Planters Win in Extra Innings, 2-0, from Wings." New London (Connecticut) Day, June 12, 1914: 13. 24 The Sporting News, July 16, 1914: 5. 25 "Griswold Guests Lose." The Day, July 9, 1914: 9. The Day noted on July 16 that Burr left the Griswold, where he had been staying, for New York. 26 Toronto World, July 31, 1914: 10. 27 "Royals Captured Another." Montreal Daily Mail, August 4, 1914: 8. 28 "The Week in Society"
30 Wilson, Gill Robb. I Walked with Giants. New York, NY: Vantage Press, 1968: 106. 31 Spalding's Official Baseball Guide for 1919. New York, NY: American Sports Publishing Company: 247. 32 Gorrell's History of the American Expeditionary Forces Air Service, 1917-1919. National Archives and records Service, General Services Administration: 75 (available online at http://www.footnote.com/document/21586732/). The accident report itself is available for purchase from the website of Aviation Archaeological Investigation & Research. The summary page for 1918 is at http://www.aviationarchaeology.com/src/1940sB4/1918.htm. 33 St. John, Ibid., loc. cit. 34 My check of the Suresnes database did not show Burr's name. Marion Bastien also confirmed this point with Patrick Boyer, co-author of the book 1914-18 : Le Bassin d'Arcachon. 35 Lewis, Eli Robert. The Roll of Honor, Containing the Names of Soldiers, Sailors, and marines of All Wars of Our Country Who Are Buried in the Cemeteries of Cook Country. Chicago, Illinois: Printing Products Corp., 1922: 286. 36 In addition, in the Memorial House dormitory at Choate Rosemary Hall (dedicated May 30, 1921), the contents of the cornerstone and the painting in the first-floor common room honor Burr and his 15 fellow Choate alumni who made the ultimate sacrifice on behalf of their country.